Happy TBT! 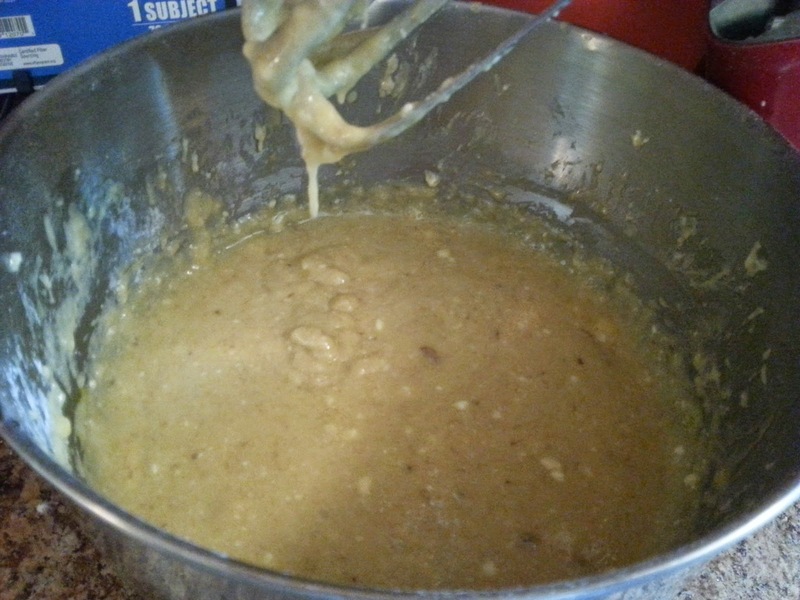 Today's recipe comes from my sister who has been making this recipe for the past 30 years. It has to be the best banana bread that I have ever tasted. 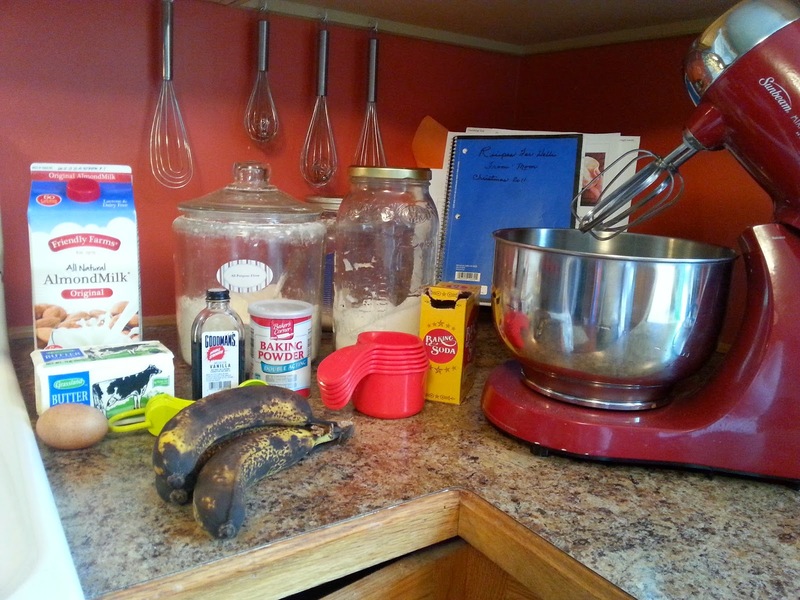 She gave me the recipe about 20 years ago and it is the only banana bread recipe that I will use. I have tried others, but I just keep coming back to this one. It is that good! So I really wanted to post a picture of my sister and me when we were little, but because of our age difference, I didn't really find one. She is 12 years older than I and was married and out of the house when I was 8. When I was younger, we really didn't get along that well. We were too much alike. But now that we are older, she is one of my best friends! I admire her so much. She is such a strong lady and I hope that I can be as strong as she is one day. 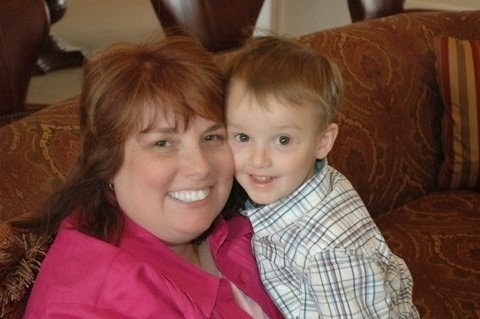 Here she is with my son when he was just 3. That was 6 years ago! My how time flies! Now onto the recipe. If you notice, the bananas are ripe. Verrry ripe. To me that is the perfect time to use them to bake with. 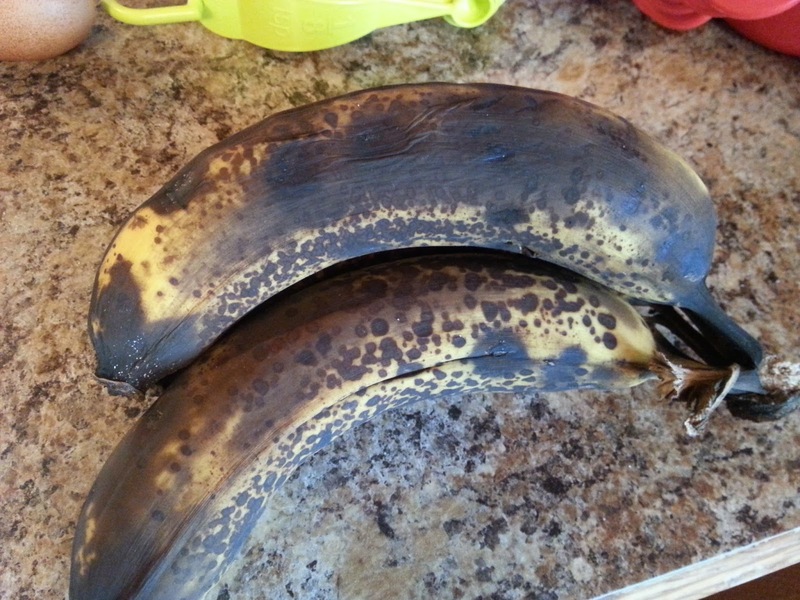 With them that ripe, it really brings out the sugar in the banana and intensifies the flavor. Most people would throw these out, but to me it means fresh banana bread! 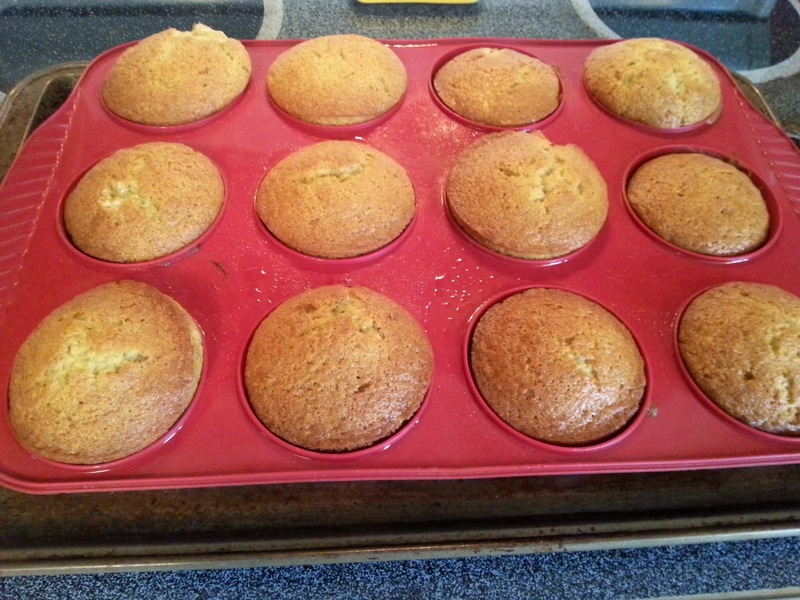 Or in this case, muffins. Preheat oven to 350°F. Then cream the butter and sugar together. 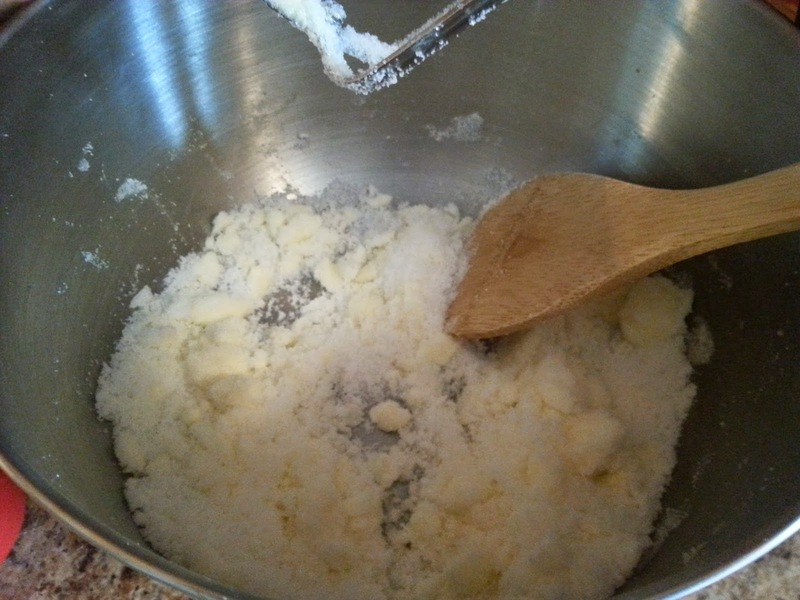 Make sure that the butter is room temperature so it makes for an easier process. You can see below I still have some clumps of butter. No worries, just cream it together a little more. Next add to the butter and sugar the milk, egg, and bananas and mix well. You may have noticed in my ingredients that I am using almond milk. 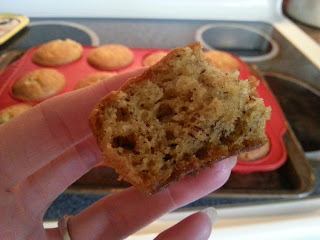 I am very happy with the way my baking is turning out with the use of almond milk. You could also use coconut milk, or just ole plain milk. Then sift together the flour, baking soda, baking powder, and salt and add to the liquid mixture. Mix it all together. Last, don't forget to stir in the vanilla. Now you have a choice to make. You can bake this in a standard size loaf pan for about an hour. 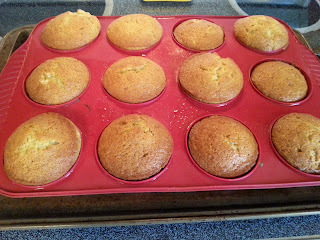 Or make two smaller loaves, or do what I chose to do and make muffins. For muffins they only need to bake for about 25 minutes or until golden brown and a toothpick inserted in the middle comes out clean. And here they are, ready to eat. The hardest part is letting them cool. Seriously I could eat all of these. At one sitting. No joke. I can eat them as is, or with a little butter, or some honey. 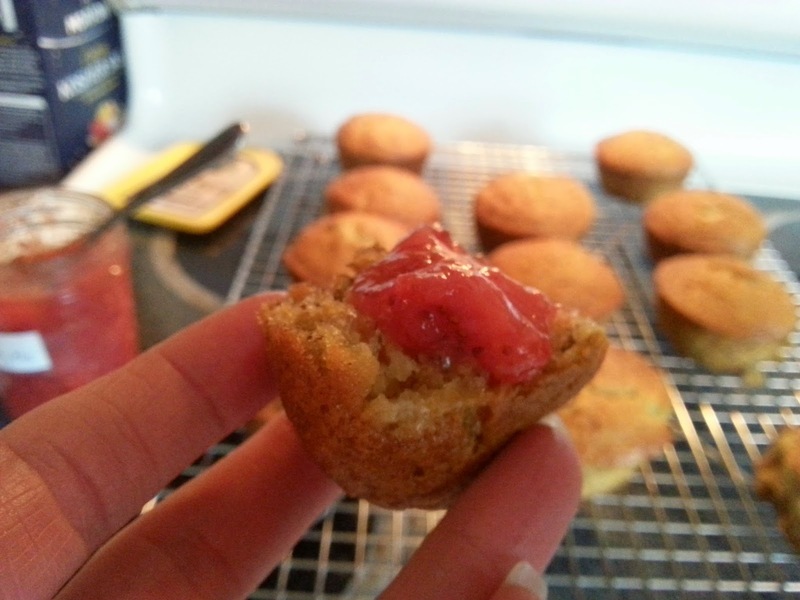 But you want to know my favorite way of eating these scrumptious muffins? So to get the printable form of the recipe click HERE. And let me know in the comments below what you think about this scrumptious banana bread. Wondering about my strawberry preserves recipe? Well, I am going to make you wait for that one. My sister and I are going to get berries this weekend and work together on putting up some preserves. I foresee a YouTube video in the future. I can't wait! That looks so good! We gotta try this recipe!